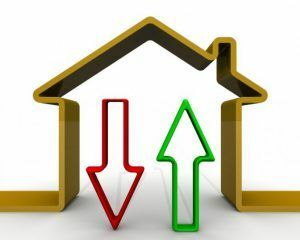 The average annual house price growth across the UK in January 2019 dropped to its lowest rate since June 2013, according to the latest House Price Index from the Office for National Statistics (ONS). The average property value in the UK rose by 1.7% in the year to January, which is down from annual house price growth of 2.2% in December 2018. In June 2013, the average increase stood at 1.5%. Over the past two-and-a-half years, a slowdown has been recorded in annual house price growth across the UK, driven mainly by declines in the south and east of England. In January, the lowest annual house price growth was recorded in London, where the average property value fell by 1.6%, which is down from a decrease of 0.7% in the previous month. The East of England followed, with a drop of 0.2% over the 12 months to January. The average UK house price in January was £228,000. This is £4,000 higher than in the same month of 2018. On a non-seasonally adjusted basis, the typical property value in the UK dropped by 0.8% between December 2018-January 2019, compared with a decline of 0.3% during the same period of the previous year. On a seasonally adjusted basis, the average house price in the UK fell by 0.2% between December and January. The average property value in England was £245,000 in January, which marks an increase of 1.5% over the year – down from 1.9% in December 2018. House prices in Scotland grew at a slower rate than other countries of the UK, rising by 1.3% in the 12 months to January, which has fallen from 2.0% in the year to December. The typical house price in Scotland was £149,000. Annual house price growth in January was strongest in Wales, at an average of 4.6%, taking the typical property value in the country to £160,000. This continues to be driven be strong house price inflation in southeast Wales, which is likely linked to the abolition of the Severn Bridge tolls, reports the ONS. House prices in Northern Ireland rose by an average of 5.5% in the year to the fourth quarter (Q4) of 2018. The country remains the cheapest in the UK to purchase a property, with an average house price of £137,000. Property values in southern England (London, the East of England, South East and South West) dropped by an average of 0.2% in the year to January, which compares to growth of 4.2% in the Midlands and 2.8% in northern England (the North East, North West, and Yorkshire and the Humber). While the annual growth rates of the Midlands and the north have slowed slightly over the past three years, southern England has experienced a sustained slowdown, with values in January marking a decrease over the year. At a regional level, the East Midlands recorded the highest annual house price growth in January, at 4.4%. The West Midlands was close behind, at an average of 4.0%. The lowest annual increase was in London, where the average house price dropped by 1.6% in the 12 months to January, which is down from a fall of 0.7% in December. The East of England followed, where the typical property value was down by 0.2% – its first decline since October 2011. While London house prices have decreased over the year, the region remains the most expensive place in the UK to buy a property, with an average value of £472,000. The South East and East of England follow, at £321,000 and £288,000 respectively. The North East continues to record the lowest average house price, at £125,000, and is the only English region yet to surpass its pre-economic downturn peak. Conor Murphy, the CEO of fintech mortgage platform Smartr365, says: “Slowing house price growth is no surprise – we remain without a solution to Brexit and only nine days to go. 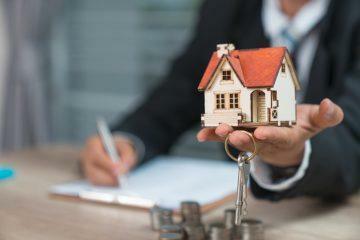 However, the fundamentals of the mortgage market remain solid. Lenders are developing more innovative products and near record low interest rates are attracting demand, despite wider uncertainty. Ewen Bunting, the Head of Sales at independent estate agent James Pendleton, also comments on the index: “The market is plumbing near six-year lows and Londoners are feeling the worst of it, with the gap between house price growth and inflation widening to more than 3%. “This represents a substantial real terms annual loss. No one was expecting fireworks after New Year while the clock runs down on Brexit, but things appear to be coming to a head rather earlier than we had initially expected. Shaun Church, the Director of mortgage broker Private Finance, gives his thoughts: “Property prices have experienced their weakest growth in almost six years, with London the chief culprit for the national lag. 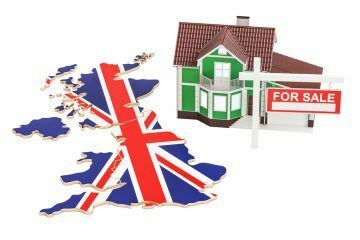 It’s becoming ever more apparent that continued uncertainty around Brexit and the wider global economy is depressing the capital’s property market. “For the millions of aspiring homeowners that have long been priced out of London, now marks a time of opportunity. Between December and January, buyers saved £1,344 on average when purchasing a property in the capital. While not a windfall, this saving on purchase price, combined with Stamp Duty exemptions, near record low mortgage rates and Government initiatives, such as Help to Buy, are all helping to make homeownership incrementally more affordable and attainable.